Whiplash is the most common injury associated with motor vehicle accidents, affecting up to 83 percent of those involved in collisions, and is a common cause of chronic disability. The Quebec Task Force (QTF) on Whiplash-Associated Disorders defines whiplash as “bony or soft tissue injuries” resulting “from rear-end or side impact, predominantly in motor vehicle accidents, and from other mishaps” as a result of “an acceleration-deceleration mechanism of energy transfer to the neck.” It is estimated that as many as four per 1,000 people may experience a whiplash-related injury and associated pain syndromes. The overall economic burden of whiplash injury, including medical care, disability, and sick leave, is estimated at a staggering $3.9 billion annually in the U.S. alone. The mechanism of injury suggests that whiplash may occur as a result of hyperextension (excessive backward bending) of the lower cervical spine (neck) in relation to a hyperflexion (excessive forward bending) of the upper cervical vertebrae, producing a force of impact “whipping” through the body. The result is soft-tissue damage, inflammation and muscle spasm. 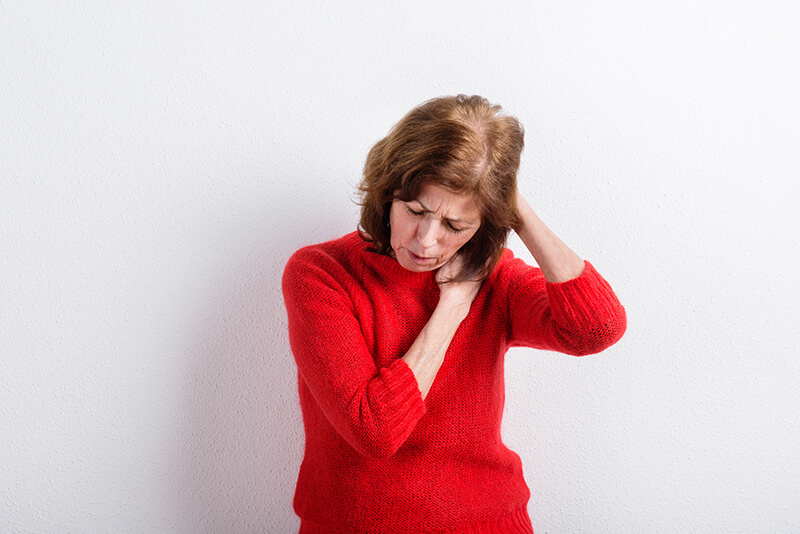 Whiplash is associated with a wide variety of clinical symptoms including neck pain, neck stiffness, arm pain, jaw pain, headaches and paresthesias (tingling/numbness), problems with memory and concentration, and psychological distress. Symptoms of whiplash may not present until several weeks after the causative incident. Frequently people experience little pain and discomfort in the early stages. However, after several weeks the body begins to manifest symptoms. It is this delayed onset of symptoms and lack of early treatment intervention which may cause the condition to become chronic and debilitating. While a whiplash injury may be unavoidable if you’re involved in a crash, there are simple but effective precautions you can take to minimize the risk. As they say, an ounce of prevention is worth a pound of cure. Head restraint: If more than one person uses a car, it is better to adjust the head restraint for each driver and make sure that it’s positioned according to the convenience of each driver. Not adjusting the head restraint for each driver greatly increases the likelihood of injury. The head restraint must be locked when driving. If the head restraint is not locked, it may move during an accident, taking away protective support when needed most and resulting in substantial injuries to the neck. Seat belt: Although the seat belt in and of itself will not prevent whiplash, it does help to prevent your body from lurching completely forward during a car crash, even a low-impact crash. The simple act of buckling up is responsible for approximately a 60 percent reduction in accident fatalities. So buckle up to save your life and protect your neck. Neck exercises: Whiplash affects the neck muscles. The stronger the muscles, the less affected by sudden movement your neck will be. Engage in neck exercises to strengthen the soft tissues of the neck. Exercise won’t prevent whiplash, but it can make you less susceptible to the forcible forward and backward neck jolts. Isometric resistance exercises for the neck are easy to do and highly effective in strengthening the supportive musculature of the neck. Your doctor can provide you with specific neck-strengthening exercises. Whiplash injuries are difficult to treat for many reasons. Complex interactions of psychosocial, legal and physical factors make effective treatment highly variable. However, there are many therapeutic options available to help whiplash related injuries. Initial treatment traditionally includes a soft cervical collar to restrict the cervical range of motion and prevent further injury. Overall rest and motion restriction may hinder progress in the long run, so it is best to seek out professional help in resolving symptoms. That’s where your chiropractor comes in. Chiropractic: Chiropractors are the single largest group of practitioners treating whiplash injuries, and they do it well: For example, one study found chiropractors were effective at relieving whiplash pain more than 90 percent of the time. Chiropractic care focuses on relieving soft- tissue spasm, inflammation and pain by restoring proper motion in the spinal column. Due to the force impact of whiplash, the spinal column can misalign and cause pain. By performing manipulation of the spinal column, chiropractic can help restore normal function and movement to the affected areas. Depending on their treatment style and your specific case, your chiropractor may decide to utilize additional treatment options in addition to chiropractic, either in their office or via a referral. Here are some of those potential treatments, all with the single goal of relieving your pain and managing your whiplash symptoms in the most effective way possible – and without requiring pain-relief medications, which are perhaps the most common “treatment” option for whiplash sufferers, despite the fact that they provide only short-term relief and may create more problems than solutions in terms of the potential side effects. Acupuncture: An ancient system of healing developed over thousands of years in Eastern countries such as China, acupuncture is a treatment in which fine needles are applied to specific acupuncture points in order to relieve symptoms of both physical and psychological conditions. Acupuncture has proved to be a particularly effective in relieving the neck pain and other symptoms associated with whiplash injuries. In some cases, acupuncture has helped in the treatment of whiplash patients suffering long-term symptoms where conventional approaches showed little improvement. Massage Therapy: Massage is one of the most effective therapies for releasing muscle tension and restoring balance to the musculoskeletal system. Massage therapy can help relax the muscles, increase and maintain range of motion, decrease stress and tension, increase circulation, and prevent and break down scar-tissue formation. Ideally, therapy should start as soon as the acute, inflammatory phase is over (about 72 hours after the injury). A massage technique called cross-fiber friction can be used to encourage the body to lay down the connective tissue in the same direction as the originally damaged tissue. This proper alignment causes smaller amounts of the connective tissue to be needed and allows for a fuller range of motion upon recovery. Physical Therapy: Physical therapy is an effective treatment option for whiplash, especially when combined with other treatments, such as bracing. Physical therapy techniques can help restore proper function and movement of damaged tissues. Physical therapy includes both passive and active treatments. Passive treatments help relax you and your body. They’re called passive because you don’t have to actively participate. You’ll probably start with passive treatments as your body heals and/or adjusts to the pain. But the goal of physical therapy is to get into active treatments. These are therapeutic exercises that strengthen your body so that your spine has better support. Laser Therapy: Laser therapy is a safe, non-invasive and very effective treatment for speeding the healing process of damaged tissue, reducing pain, muscle spasms and inflammation from whiplash injuries of the neck and back. Laser therapy is a bio-stimulator that helps the body heal itself, sending healing photon (light) energy to injured tissue, which in turn creates a series of chemical reactions that accelerate the body’s natural healing mechanisms. Properly administered laser treatments help decrease pain and inflammation, help generate new and healthy cells, improve nerve function, increase the speed, quality and tensile strength of tissue repair, and improve blood circulation to the tissues, all for the treatment of pain. When it comes to whiplash, be proactive in your prevention strategy and treatment options. Educate yourself about the options available to you and work closely with your healthcare professional to ensure maximum benefits from therapy. Knowing your options is the foundational key to reaching your goal of getting back to health. Whiplash can be a difficult condition to recover from; however, with your chiropractor in your corner and an array of conservative treatment options at their disposal, you’re in the best of hands. For at least 2-3 weeks, avoid activities that bring on or worsen your pain and stiffness. Don’t lift or carry anything heavy or participate in sports. Do not sit for long periods of time. Use an orthopedic head support pillow while sleeping. If possible, stay active by taking short walks. If you have pain when you move your head or the pain involves your shoulders or arms, your doctor may recommend a soft neck collar or a natural pain reliever. Neck pain and stiffness return after they initially went away. Neck pain is so severe that it interferes with your daily activities. You have numbness, tingling, or weakness in your arms or legs. You have problems with your bladder or bowels. Headaches become severe and do not resolve. While most people are familiar with the term whiplash and generally know that it’s primarily a consequence of motor vehicle accidents, you may be surprised to learn how easily a whiplash injury can occur and how severe the consequences can be. Take this short quiz and then check your answers. Question 2: According to early human crash testing (conducted at UCLA) that simulated real-world rear-impact collisions, how does the human head respond to a crash compared to the vehicle? A The volunteer’s head was subjected to 2 1/2 times the acceleration of the vehicle. B The volunteer’s head was subjected to about 1/2 the acceleration of the vehicle. C The volunteer’s acceleration was roughly equivalent to stepping off a curb. D In low-speed collisions (under 8 mph), no acceleration of the human head can be measured. Question 3: Regarding the outcome of whiplash injuries, which of the following statements is most accurate? A The vast majority of whiplash injuries resolve in about six weeks. B The vast majority of whiplash injuries resolve in 6-12 weeks. C About 25-50 percent of whiplash injuries fail to resolve completely. D Whiplash injuries rarely resolve completely. Question 4: Of the following variables, which is considered to be a risk factor for poor outcome in whiplash trauma? C Nonawareness of impending impact. D All the above have been shown to be risk factors for poor outcome.